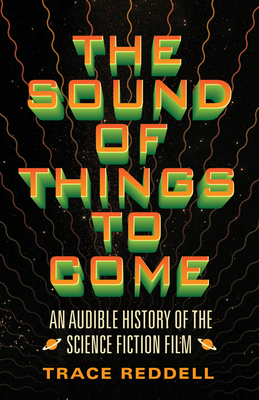 Including original readings of classics like The Day the Earth Stood Still, 2001: A Space Odyssey, Star Wars, and Blade Runner, The Sound of Things to Come delivers a comprehensive history of sound in science fiction cinema. Approaching movies as sound objects that combine cinematic apparatus and consciousness, Trace Reddell presents a new theory of sonic innovation in the science fiction film. Reddell assembles a staggering array of movies from sixty years of film history—including classics, blockbusters, B-movies, and documentaries from the United States, Britain, France, Germany, Japan, and the Soviet Union—all in service to his powerful conception of sound making as a speculative activity in its own right. Reddell recasts debates about noise and music, while arguing that sound in the science fiction film provides a medium for alien, unknown, and posthuman sound objects that transform what and how we hear. Avoiding genre criticism’s tendency to obsess over utopias, The Sound of Things to Come draws on film theory, sound studies, and philosophies of technology to advance conversations about the avant-garde, while also opening up opportunities to examine cinematic sounds beyond the screen. Trace Reddell is associate professor of emergent digital practices at the University of Denver.